One reason that I love traveling so much is that the Holy Spirit always has interesting people for me to meet. Since I have begun my journey toward the priesthood, I have had the opportunity to encounter hundreds of wonderful people with whom I have been blessed to share the Good News. The types of people whom I have met are diverse: I have had profound conversations with everyone from drug dealers to Wiccans to high-profile atheist professors! In this post and in those that follow, I would like to share some of these experiences. Since we Christians are members of the Body of Christ and participate in the mission of our Head, we should not be surprised when He chooses to make His presence felt through us. The following story is about a time when this happened to me. Following my first year of studies in Rome, I found myself back in the US carrying out a summer assignment. My travels brought me for a few weeks to my old stomping grounds in Thornwood, just north of New York City. 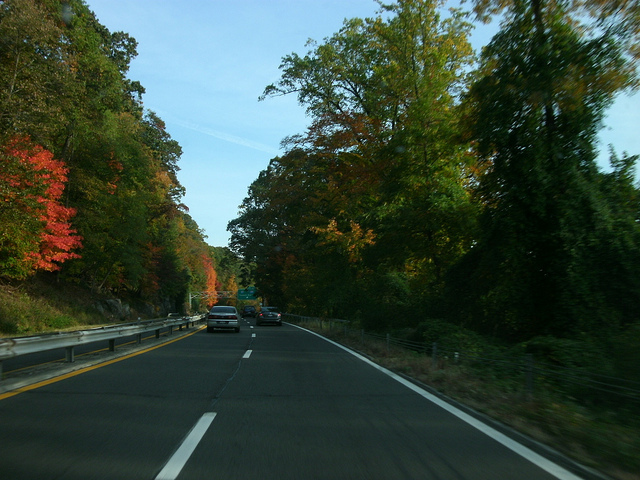 One beautiful, late-summer morning, I drove up the Saw Mill River Parkway to Mt. Kisco for a dentist appointment, after which I decided to pop into a small family-run pharmacy to look for some things that I needed. I was wearing my clerical collar as I usually do when I am out and about. An elderly woman with an Italian accent approached me and asked if I needed help finding anything. I told her what I was looking for and she helped me locate the items right away. Before I headed towards the cash register to pay for my things, she asked me if I could give her my blessing, assuming that I was a priest. I told her that unfortunately I could not give her a priestly blessing, but I offered to pray for her by name. She accepted, telling me that her name was Josephine. I sensed that this woman was suffering deeply and that she needed a sign of God’s closeness and love, so I placed my hands on her head and I prayed with all of my heart, asking that God would touch her and grant her His peace. After my prayer, I spoke to her in Italian, asking her where in Italy she was from. When she heard me speaking her language, something broke down within her and she began to cry. A little taken aback, I tried to comfort her and asked if everything was okay. She said yes, but then continued to cry. When she had finally recovered herself enough, she explained to me that she desperately needed prayers because she was suffering terribly: her 32-year old daughter had been killed in a bicycle accident eight years previously and the sorrow was still more than she could bear. When you are confronted with such intense human suffering, there is only so much that you can do. 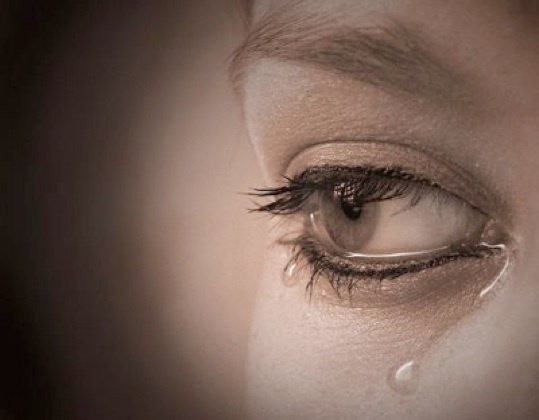 What can you really say to a mother who has lost her beloved child? What can you do to explain her loss or lessen her suffering? I did the only thing I could think of doing: I comforted her and gave her a hug. I encouraged her to remember that Christ was suffering with her, and that He allowed her this cross only because He would bring about a greater good. I reminded her that her daughter was in God’s merciful hands and that it was only a matter of time before she would see her again. My words of consolation were clumsy, but they were all that I could do for God at that moment. Thankfully, He made up for my shortcoming, as He always does. As I spoke with her, Josephine gradually calmed down and her look of anguish became one of acceptance. It was one of those transcendent moments in which it is clear beyond doubt that the Holy Spirit is at work: I saw the pain in her eyes dissolve as she allowed God to help her shoulder the burden of her child’s death. When our conversation finally finished, I paid and said good-bye, promising to keep her in my prayers. Josephine was effusive in her gratitude. As I pulled onto the parkway to return home, I was struck by an interesting coincidence: the Gospel passage that I had mediated on that morning was Luke 7:11-17: Christ’s encounter with the widow of Nain. Soon afterward he went to a town called Nain, and his disciples and a great crowd went with him. As he drew near to the gate of the town, behold, a man who had died was being carried out, the only son of his mother, and she was a widow, and a considerable crowd from the town was with her. And when the Lord saw her, he had compassion on her and said to her, “Do not weep.” Then he came up and touched the bier, and the bearers stood still. And he said, “Young man, I say to you, arise.” And the dead man sat up and began to speak, and Jesus gave him to his mother. I realized that there was a real connection between my encounter with Josephine and this passage from the living Word of God: in both instances Christ comforted a mourning mother. In Nain, it was Christ speaking directly; in Mt. 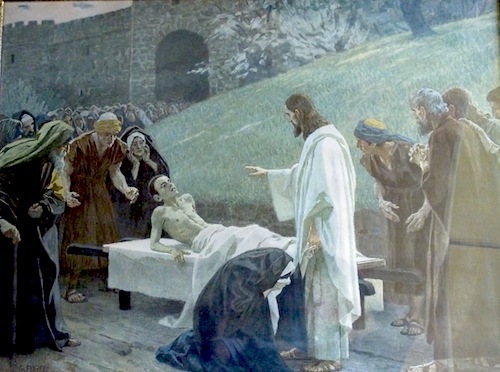 Kisco, it was Christ speaking through a member of His Body. In both Nain and Mt. Kisco, he revived and restored peace: in the former, through literal revivification; in the latter, through revivification of hope in eternal life. 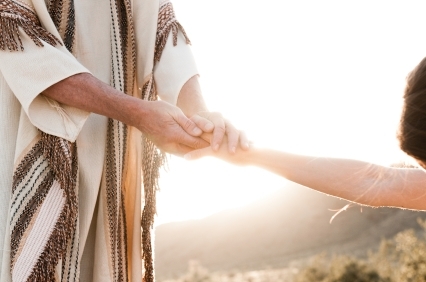 My experience that morning left me grateful but humbled: grateful that I had been able to help someone experience God’s love; humbled that our Lord was able to work through me despite my obvious shortcomings and limitations. I’m looking forward to reading more in this series. Well done. It is amazing what the Holy Spirit does when we open ourselves to his action. Buckle your seat belt!